...If you want to, that is. I just can't seem to make these bold claims without caveats. But over the past two years, I've read several great historical fantasies. In fact, not merely great - absolute must-reads: and since I'm asked for recommendations relatively often (it's part of that whole book reviewer malarky. Keep them coming, it's fun! ), here are two of my favourites in post form. Though my standard recommendation of (almost) all things Kay still stands. Guess what? I recommend it. The concept alone was enough to drag me into reading these - and I'm glad I was so-dragged! 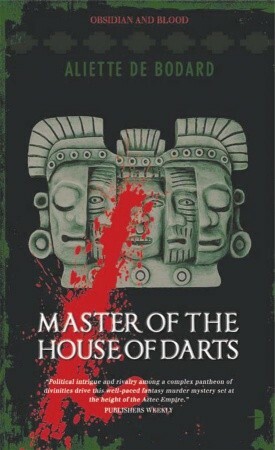 Historical fantasy, but set in the Aztec civilisation (and not the oft cliched 'human sacrifice people', either. These are Aztecs with their own culture, their own beliefs, and their own civilisation), and with a substantial mystery component? This is a wonderful degree of genre blending, and I love it. Also, remember my wish for more non-Eurocentric fantasy? This definitely counts. That's not to neglect the plot and characters. Aztec politics and Aztec beliefs both come into play, believably written into the characters - including our protagonist, the high priest of Lord Death. Convention defied? I think so. While it wasn't quite so emotionally engaging as Lyle's writing, Obsidian and Blood definitely gets a 'must read' from me. And if you don't believe me here... Well, read my review. Or, you know, someone else's. I debated whether to place this one under historical fantasy. Admittedly, the era in which it's set is far more recent, approaching urban fantasy, than my other picks: but in the end, the period is one of the most fitting and evocative aspects of Bennett's novel - so it stays. The Troupe is set in the time of vaudeville (which I knew little-to-nothing about) - and the eponymous troupe are simultaneously part of it and something more. This is one of the best coming-of-age stories I've read. Hard-hitting at times, George's growth is just as painful as you'd expect at points. A wonderfully mysterious UF setting, the best take on Fae (or however you like to name them) I've seen in an age - seriously, they're wonderful - and an extremely satisfying ending. You want more praise? Then you'll just have to read my review. ;) It does have a few flaws, but it's a lovely novel in general. Well - those are my three 'must-reads'. Any thoughts or additional suggestions? LOVE Obsidian and Blood! I heartily agree with you there and I guess I'm going to have to give Alchemist of Souls a try...EVERYONE is talking about it! Nice to find someone else who's read it - I'm surprised it's not more widely known, actually! And yes, I'd entirely recommend it - a lot of fun, and the historical setting compliments it perfectly. I've had my eye on that Anne Lyle for a while now, the more I learn about it, the more I want to read it. And the Aliette de Bodard as well, how could I possibly not grab something with that cover art? The Troupe. sigh. that book was just all sorts of amazing! I've been meaning to read The Obsidian and Blood series for ages! 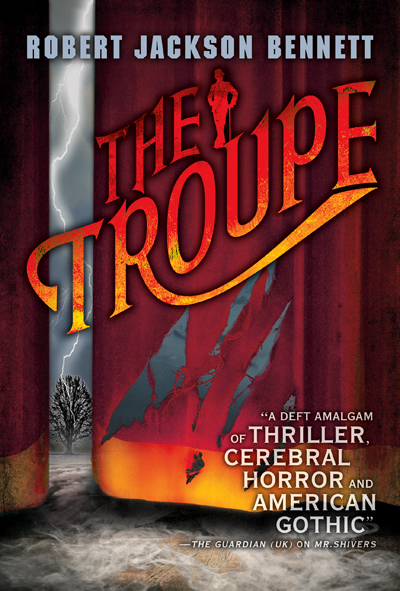 I'm quite curious about The Troupe now - will check it out soon. Very nice list of historical fantasies, it all sounds great and interesting book. Thanks for sharing.